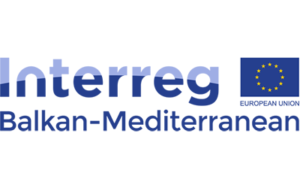 The “Balkan-Mediterranean 2014-2020”is a new cooperation Programme, deriving from both, the split of the “South East Europe 2007 – 2013” and the strong will of the “Balkan-Mediterranean” participating countries to promote cooperation in the area. The Programme brings together five (5) countries, three (3) EU member states (Bulgaria, Cyprus and Greece) and two (2) candidate countries, Albania and the formerYugoslav Republic of Macedonia. It is the first time ever that the European cooperation addresses the Balkan Peninsula and the Eastern Mediterranean Sea together, in a joint effort across maritime and terrestrial borders, to contribute to the “EU 2020”strategy, for smart, sustainable and inclusive growth. After a long period of various cooperation forms, the “Balkan-Mediterranean 2014 – 2020” transnational cooperation Programme has been identified as a structured tool to strengthen cooperation in the area, capitalising on experiences and results achieved so far. Accordingly, the Programme supports the know-how and experiences’ sharing, improvement of the public policies and networking, between national, regional and local authorities and other territorial actors of the whole Balkan-Mediterranean cooperation area.It is a new cooperation opportunity that enriches the “European Territorial Cooperation goal” of the new programming period ahead, 2014 – 2020. The Balkan – Mediterranean Cooperation Programme is co-financed by the European Regional Development Fund (ERDF) with 28 330 108,00 Euros. The total support from the Instrument for Pre-Accession Assistance (IPA) fund accounts for 5 126 138,00 Euros. Therefore, the total budget of the Programme, including national contribution, is 39 727 654,00 Euros. For the overall cooperation area, a co-financing rate of 85% is applied. The official language of the Programme is English. Taking into consideration the territorial analysis, as well as the public consultation process’ results, the main needs and challenges shared by the Programme actors can be grouped to the following headings: socioeconomic development and demography, environment and climate change, natural and cultural heritage.However, limited funding compelled for tougher choices.